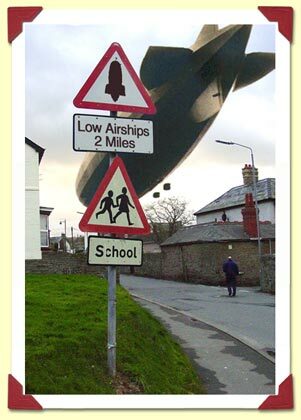 Once a familiar sight over Swindon, the airship traffic is now almost non-existent. This D-Class airship is being taken away to be scrapped, the last of its kind. Picture taken: January 1989.